As we continue our journey into population health and it’s relationship to and synergies with all forms of innovation enabling the broad brush outcomes of the ‘triple aim’, better health outcomes, improved user experience and lower per capita costs, we shift our focus to the accountable care industry and ACOs in particular. The month of August we’ll chat with executives from each of the following types of ACOs: physician led, hospital sponsored and health plan enabled. On the first broadcast at 12 Noon Pacific/3PM Eastern we’ll provide an overview of the space and touch on the history and origins of ACOs, the motivations of the Affordable Care Act (ACA), then pivot to the pros and cons of the various models in the market and to the extent we can compare and contrast results, we’ll offer up data posted to the public domain. Join Fred Goldstein @fsgoldstein and Gregg Masters @2healthguru for this exploration into an timely and relevant topic. In addition to our programming at ‘PopHealth Week‘ (@PopHealthWeek), we’re launching a new series tagged ‘FredTalk‘ with our co-founder Fred Goldstein, Founder & President of AccountableHealth, LLC (@fsgoldstein). In July we focused on Primary Care and Population Health and we had quite the line up. From some extremely well known experts to hard working physicians in the trenches ‘walking the talk’ of innovation via transformative primary care leadership for over a decade. We started with Roy Hinman, MD of Island Doctors in St. Augustine Florida. Island Doctors has been serving global risk Humana Medicare Advantage since 1998 and now manages approximately 18,000 patients! Roy focused on keeping it simple, building out a network of like minded partners, leveraging mid level practitioners at the ‘top of their license’ in the care team, aligning financial incentives, grasping and developing core competencies in clinical risk management and a hospital agnostic approach to prudent utilization of institutional healthcare resources. We then moved to direct practice pioneer with the CEO and Founder of iorahealth (@iorahealth), Rushika Fernandopulle, MD (@rushika1). Rushika decided to ‘rebuild primary care from the ground up’ and created a care team model in some respects similar to Roy’s that ‘dis-engages’ from a volume based, fee-for-service compensation plan. Iorahealth has been experiencing strong growth in the traditional m embership or retainer model direct practice milieu where there is no intermediary between the patient and the medical practice. Yet, continuing to innovate in non-traditional direct practice terms iora health as also engaged in the direct employer space via global contracts with Humana. Rushika believes that establishing a dis-intermediated and thus ‘direct relationship’ with the patient via a coordinated care team is their ‘secret sauce’ and key market differentiator. Week three’s guest was Jay Lee, MD (@FamilyDocWonk)of MemorialCare Medical Group (@MemoricalCareMG), a historically proactive physician organization based in Long Beach, California with a service area reaching into south Orange County established to provide advanced comprehensive, effective and efficient healthcare. Jay’s primary role is as the Associate Medical Director of Practice Transformation at MemorialCare Medical Group and Director of Health Policy at the Long Beach Memorial Family Medicine Residency Program. He also serves as the President of the California Academy of Family Physicians (@cafp_familydocs). Jay brought some unique insights into physician acceptance of population health and training of residents, stating that changing the culture and aligning both docs and payment incentives were mission critical to success in the transition from one-off episodic care to a population level world view. The fourth week featured the “Grandfather” of the Patient Centered Medical Home, Paul Grundy, MD, MPH (@Paul_PCPCC & @IBMhealthcare), Global Director of Healthcare Transformation IBM, President PCPCC, Ambassador for Healthcare Denmark. Paul discussed the history of the PCMH and stated that the original concept was based not on being the ‘primary care home’ for the patient per se, but the home for the data about the patient which would allow for better management of the patients condition. In fact the original PCMH was the transplant surgeons who needed to be sure that they had all the data and could coordinate all of the patient’s healthcare needs. Fee-for-service payments and its inescapable production oriented ‘do more, to earn more’ incentive basis is a hindrance to implementing population health, and perhaps contrary to emerging ‘conventional wisdom’ that tipping point may not be so close (the best intentions of Secretary Burwell et al at CMS). Many experts say we are near a tipping point in the approach to medicine and population health, that as soon as we implement just a bit more value based payment methods, we will reach it. Unfortunately and given the weight of historical inertia, they may be wrong (again?). In our discussions, there was real and evidence based concern that to do population health requires getting completely away from FFS payments. Rushika takes none, and Roy claimed to only have a handful of patients on this burning platform. They both stated that FFS payments were a problem and hindered behavior change, as well as not allowing for the justification of many population health approaches. Interestingly at MemorialCare Medical Group , Jay stated they still measure physician productivity using RVU’s; so any work that does not have a billing code (think pop health related activities) has ‘no measure or worth’ (my words). The point that stuck out most for me is that if MemorialCare Medical Group has 60 to 70% capitated business, yet they still measure using FFS related codes, making it hard to justify population health services, when do we reach the tipping point? Paul on the other hand felt that we would incrementally reach the inevitable pivot and felt that the recent CMS announcements regarding the more rapid shift to value based payments would be the impetus. Although he felt there were examples of successful capitated contracts he did bring up the fact that this type of payment can lead to an underutilization of appropriate services, while clearly FFS can lead to an over-utilization. Both Rushika and Jay independently discussed the need to bring “joy” back into the physician experience, a common theme first posited by senior leadership at ACO management company Lumeris as ‘the triple aim, plus 1’ , where the plus 1 is ‘physician satisfaction’. They talked of the drudgery of having to practice in the current system driven by fee-for-service payments, and the well know productivity formula of 30+ patients a day with an average per patient visit in the 7- 8 minute range. Both felt that practices that introduced a patient centered model, focused on relationships and had global payments allowed doctors to practice in a manner that aligned better with why they had called them to medicine in the first place. Rushika and Roy discussed how they have very simple systems to manage patients, in fact Rushika felt that EMR’s which had been built upon the FFS model and the need to create a bill, were a hindrance and he did not use one. iora health had instead developed their system from scratch. Roy too discussed how his practice focused on the ‘low hanging fruit’ and that by having no copays for office visits, seeing all walk-ins that day, managing cholesterol, weight and other simple things, they were able to drastically reduce hospitalizations and ER visits. As Roy said and I’m paraphrasing, you don’t need 15 consultants and a big IT system to do this. Paul stated that IBM had also gone to a no co-pay model for primary care visits for their employees and wanted to be sure their employees had a relationship with their PCP. While not all of the guests discussed technology, it was clear from Paul and his work both with providers and one of the strongest IT companies in the world that technology and in particular advanced data analytics combined with mobile will lead to a sea change in health and health care. Moving us to the realm of personalized medicine, providing specific services to a specific person to maintain and or improve their health. What a fantastic month of guests! Next month, we’re dedicating our series on ACOs, and diving into one of each entity type: 1) physician led, 2) hospital sponsored and 3) health plan enabled to contrast and compare structural characteristics and the relative market success (or failures) reported to date. This week on PopHealth Week, in our continuing focus on primary care and population health we are pleased to welcome Paul Grundy, MD, (@Paul_PCPCC) Global Director of Healthcare Transformation IBM, (@IBMHealthcare) President PCPCC and Ambassador Healthcare Denmark. Paul is known as the “Godfather” of the Patient Centered Medical Home (PCMH). Paul’s work at IBM is directed towards shifting healthcare delivery around the world towards data driven, accountable, consumer-focused, primary-care based systems through the adoption of new philosophies, primary-care pilot programs, new incentives systems, and the information technology required to implement such change. Considering the challenge laid before all healthcare stakeholders, and especially healthcare leadership, to re-tool and transform an ecosystem remarkably resistant to the change – if not, the revolution – imperative, join us for a ‘tour de force’ review of the current state of healthcare transformation, the center core nature of primary care leadership and the many strands that attach to if not energize the re-emerging focus on population health. In our continuing series on innovation in primary care and population health join PopHealth Week co-hosts Fred Goldstein and Gregg Masters Wednesday, July 15th 2015 at 3 PM Eastern/12 PM Pacific for another deep dive into the role of primary care. Our special guest is Jay Lee, MD, (@FamilyDocWonk) Associate Medical Director of Practice Transformation at MemorialCare Medical Group and Director of Health Policy at the Long Beach Memorial Family Medicine Residency Program. Dr. Lee was also recently honored by his peers and elected as incoming President at California Academy of Family Physicians (cafp_familydocs). Dr. Lee is an innovative Primary Care Physician. As Associate Medical Director of Practice Transformation at MemorialCare Medical Group, Dr. Lee is responsible for leading implementation of the Patient-Centered Medical Home (PCMH) model in practice locations from Long Beach to San Clemente. As Director of Health Policy, his role is to educate residents and medical students about the policy world that lives “upstream” from the world of patient care and how to integrate this understanding into clinical practice so that the health and well-being of patients and communities are optimized. So join us on Wednesday July 15 on PopHealth Week to hear from Dr. Lee. For a recent interview with Dr. Lee courtesy of our colleague Douglas Goldstein (@efuturist) click here. On the Wednesday July 1st, 2015 broadcast at 9 AM Pacific and 12 Noon Eastern PopHealth Week pivots to a progressive physician operation in North Florida innovating via Medicare Advantage risk arrangements with major health plans, including Humana. PopHealth Week’s guest on July 1 is Roy Hinman, MD the founder and CEO of Island Doctors which employs more than 50 people within 14 offices in Florida stretching from Jacksonville to Interlachen and New Smyrna Beach. He opened his first family practice office in 1991 on Anastasia Island in St. Augustine, Florida. Dr. Hinman is a ‘back to basics’ pioneer and began to take full risk Medicare Advantage in 1998. Since then, Dr. Hinman’s practice has grown to approximately 16,000 capitated Medicare Advantage patients in Florida. He anticipates having 20 offices by the end of 2015 to meet the demand. In addition to his owned offices, they also manage a network of 32 affiliated providers. Here’s some of Dr. Hinman’s bio. In our second month end ‘news/e/um‘ style PopHealth Week Review Wednesday June 24 at 9 AM PT/12 PM ET we’ll feature hot topics in the news. Our regular panel of Fred Goldstein @fsgoldstein, Gregg Masters @2healthguru and Doug Goldstein @efuturist will identify newsworthy stories and offer commentary along the way. Anthem’s sparring bids for CIGNA (and Aetna’s pursuit of Humana) Could the ‘Big Five’ be reduced to the ‘Big Three’? This company just reported revised downward guidance and their stock was hammered. Last month, on May 18th their longtime CEO Ben Leedle stepped down and last year a group of dissident sharedholders filed to take over the Board, though they ultimately came to an agreement with a few of them joining the Healthways Board. As one of the largest population health companies, with unique programs like Silver Sneakers, the Gallup-Healthways Well-Being Index, and relationships with Blue Zones and Dean Ornish, how can they miss? Well the irreverent 3 have some thoughts you don’t want to miss this. We’re sourcing our discussion from recent news: ‘Healthways Revises Financial Guidance for 2015‘ and Healthways (HWAY) Stock Sinks on Lower Full Year Revenue Guidance. Fitbit: The Wallstreet Darling of the Wearables Industry? The company narrative is here, and recent discussions found via CNBC ‘Fitbit soars 20% on second trading day‘. The good here, and some questions, here and here. And then there’s the ‘always-in America’ litigation angle via ‘Fitbit Sued by Jawbone for ‘Plundering’ Employees, Secrets‘ with all the gory details of the complaint here. Ochsner Health System: The New Normal? We all know how much buzz the product (better yet, platform) has produced in the digital health and exploding apps market, we’ll lean into the real world implications for its deployment to population health via Ochsner’s first mover vision inside their EHR (uh, can you say EPIC?). Aledade: The Physician Led ACO Management Company “ACOcor” Revisited? Aledade just completed a $30 million series B raise, see; ‘Bethesda health tech company raises $30 million‘. What implications if any can we draw from this continuing investor confidence in the approach and ‘secret sauce’ enabling the transformation of the U.S. healthcare ecosystem from volume to value? What does this say about the ACO market writ large and the continued embedding of the ACA’s moving parts as the new normal for American healthcare? For discussion of this milestone event, see: Leading the Transformation: Aledade’s Growth authored by Aledade CEO Farzad Mostahari, MD. Themes: ACOs continue their market penetration, and the need for physician led ACOs can only be expected to continue to grow as well. Someone need fill that void. Aledade intends to be a front runner. ACA repeal types are increasingly irrelevant and the King V Burwell trial decision – which could hit this week – is likely to only affirm the continued availability of Federal subsidies within the broad intent of the law and ‘language issues’ notwithstanding. Physician led ACOs are another shot at the bow of traditional hospital system led innovations including any ACOs the sponsor. As the challenge of integrating the promise of precision medicine (utility of biomarkers and better understanding of disease pathology and associated risk management opportunities) informing and guiding to day to day lifestyle (including health) choices, another potential uptake inhibitor are the hoops payors or risk bearing organizations may require before deeming the application of such technology to better patient outcomes. So in a way, it’s not just about tech innovation adding value to medicine and healthcare, but also the bureaucracies we create to protect the public while stimulating innovation. PM remains an on the come potential to current medical practice. The theory is compelling, but the 17 year bench to bedside standard is not likely to step aside any time soon. Perhaps incentives [and compelling outcomes studies] can accelerate an otherwise glacial pace of [tech transfer] adoption. Are we revisiting the Big 6, then Big 4, and ultimately fill in the ____ of the too big to fail accounting firms [RIP Arthur Anderson] but now squarely laid at the feet of America’s Health Insurance Industry market leaders….? This is a story on a number of levels! See: Anthem continues $47B Cigna takeover battle and Anthem offers $47 billion to buy Cigna. Themes: Is health plan consolidation the antidote to counter the recent and persistent wave of hospital, health system and medical group mergers? One CEO’s post merger standing in way of merger. Will investors stand by and watch a premium bid sit idle? Bottomline? Might market consolidation for price leverage (and oh yeah, scale and operating efficiencies) enable the construction of a virtual single payor (or Ellwood vision of “SuperMeds”) via acquisitions or arrangements? Is this scale required by ACA as some opine? Or just more opportunity to generate fees and exit packages for senior executives? When has scale reduced costs? So pull up a chair, get out on a walk, put on your headset, and tune in to PopHealth Week! This week on PopHealth Week o ur special guest is Steven Blumberg, Senior Vice President and Executive Director of AtlantiCare Health Solutions, AtlantiCare’s accountable care organization. A member of AtlantiCare’s executive leadership team, he has responsibility for development of population health models, programing and delivery. Blumberg works with payors and employers to bring value-based purchasing of health services to the marketplace. Blumberg’s more than 25 years of health care leadership experience includes strategic planning, business development, joint ventures, group practice leadership, risk model development and operational integration. He has worked with both large group practices as well as major health systems. AtlantiCare, located in New Jersey is the region’s largest healthcare organization and largest non-casino employer with more than 5,170 employees and 600 physicians in nearly 70 locations. AtlantiCare Health Solutions is an accountable care organization (ACO). Services offerd through their ACO includes Primary Care Plus, data analytics and information sharing through an EMR, integrated care managers, a hospitalist program and an employee engagement, prevention and wellness program. The program also offers a patient portal, mobile app and Well4Life, whose mission is to build healthy communities. So join PopHealth Week as we discuss ACO’s, population health and some of the innovative services offered by AtlantiCare Health Solutions. 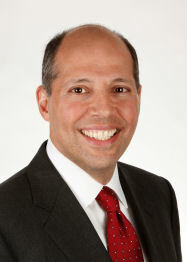 Frederic S. Goldstein is President and Founder Accountable Health, LLC, Past Board Chair, Board of Directors, Population Health Alliance, and co-founder of PopHealth Week. Kaveh Safavi, MD, JD managing director for global healthcare business at Accenture. Dr. Safavi is responsible for developing and driving a growth strategy that differentiates Accenture’s offerings for providers, health insurers and public and private health systems across the globe. Accenture Health Management Services offer solutions to help patients, providers and risk-bearers coordinate and manage population health and wellness across care settings in a way that ensures optimal health outcomes, efficient healthcare spend and drives affordability. We’ll be discussing some of Kaveh’s thoughts on population health and where he believes providers should be focusing their efforts. Join Gregg Masters @2healthguru, Doug Goldstein @eFuturist, and me @fsgoldstein as we discuss recent news and issues in population health. This week’s show will focus on Evolent Health and their recently announced IPO as well as the Quantified self and health care data, who’s using it, and what are some of the issues the industry and we face. Evolent Health helps progressive health care systems lead, build and own the path to value-based care. No matter your current state of transition, we partner with you to drive real, lasting transformation from the inside out. Founded in 2011 by UPMC Health Plan and The Advisory Board Company, we are a high-growth firm headquartered in Arlington, Virginia. Across multiple Evolent and partner system sites, our 750-member team of experts works shoulder-to-shoulder with provider leadership to shape the future of health care. Evolent is proud to partner with leading providers and physician organizations in over 25 markets across the country. They believe the current market opportunity is $10B and will be $46 by 2020, that health expenditures will increase from $2.1T to $3.2T by 2020, value based care will increase from 10% to 50%, the provider sponsored health plan market will grow to 15% of the total health plan market and they estimate $1T in waste in the system. Also an interesting piece from Rock Health on who might be next for an IPO. The second issue we’ll discuss is the quantified self, and the incredible growth in personal data that is being gathered and used from wearable devices and other sources. The Washington Post had a recent article entitled ‘The Revolution will be Digitized‘ by Arianna Eunjung Cha, posted May 9, 2015. And from the Kojo Annamdi Show on NPR ‘The Digital Fingerprints We Leave Behind Online’ with some interesting information and statistics. And the recent hacking of an adult dating site and sharing of intimate details online. Issues like who owns the data, whose using it, its value, the ‘No MU without Me‘ campaign and others will be addressed. So join us at 12 pm Eastern at www.pophealthweek.com and follow us on twitter @pophealthweek.